It seems like yesterday that you were ringing in the new year, and in almost the blink of an eye, another calendar cycle is coming to an end. 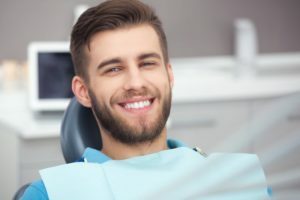 You have a unique opportunity and challenge before you that, if met, will help to fortify your oral health as you transition into the upcoming year. Furthermore, it will save you time and money. As you read on, you’ll learn why it’s so important to get in to visit your dentist in Enterprise before the year ends! One of the biggest advantages of having dental insurance is the access you have to preventive care. Typically, insurance companies will pay up to 100% of the costs of semi-annual check-ups, but your out-of-pocket contributions increase for more complex forms of treatment. Cleaning – One of the main threats to your oral health is bacteria growth, which can lead to tooth decay, gum disease and tooth loss. Having your teeth cleaned by your dental hygienist is an essential part of prevention. 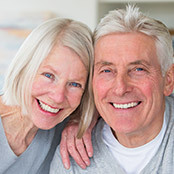 Examination – Another perk of the preventive dentistry visit is that your mouth, teeth and gums will be thoroughly examined for evidence of cavities, gum disease or other maladies. Your dentist will also check for signs of oral cancer and jaw alignment issues so they can be addressed promptly. Open Communication – A final advantage of visiting your dentist is that you’ll be able to ask questions and receive expert advice in such areas as better oral hygiene habits, diet changes for better oral health and product selection. As mentioned earlier, preventive care visits also save you money. That’s because they are usually fully covered by your insurance and provide a way to address any developing problems before they become worse. Typically, coverage will renew on the first of the year, so if you don’t take advantage of both visits, it’s the equivalent of leaving money on the table. To prevent that from happening, it’s important to contact your local dentist and schedule a visit before the year expires. The Perfect Time to Act! September is National Gum Care Month – a time where dentists around the country are encouraging patients to focus more on their gum health. A great way to go about this is to visit your oral care specialist for preventive care. By taking this proactive step, you’ll be able to enjoy excellent oral health as the days on the calendar zoom by! Dr. Tyler Schaffeld earned is DMD degree from Oregon Health and Science University. 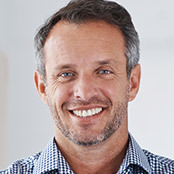 Throughout his career, he’s maintained a commitment to providing his patients with the comprehensive care and attentiveness needed to ensure excellent oral health. Dr. Schaffeld provides preventive care at his private practice, and he can be reached for more information through his website.